KNOW NOW conference call series features global thought leaders hosted by the World Affairs Councils of America as well as local authorities in government, business, academia and cultural fields, to bring local and national issues of global dimensions to our network. 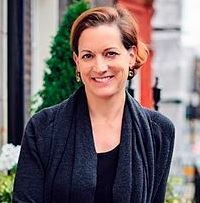 Ms Applebaum is an American-born, naturalized Polish journalist and Pulitzer Prize–winning author who has written extensively about communism and the development of civil society in Central and Eastern Europe. She is the director of the Transitions Forum at the Legatum Institute in London. She has also been an editor at The Economist, and a member of the editorial board of The Washington Post (2002–06).